Corindus Vascular Robotics (NYSE:CVRS) said today that the first Japanese procedures using its CorPath GRX robot-assisted device took place as part of a post-market surveillance study. Waltham, Mass.-based Corindus, which last June won clearance from Japan’s Pharmaceutical & Medical Device Agency for CorPath GRX, inked a distribution deal for Japan in February 2017 that included a $2 million advance and provision for 12 of the devices; the system used in the initial cases there was the first placement of that deal and followed A1 technical fee reimbursement approval last month, Corindus said today. CorPath GRX is used to assist cardiologists during percutaneous coronary interventions including stenting procedures. “The acceptance of robotic-assisted PCI in Japan is an important next step for Corindus to bring this critical medical advancement to additional markets across the globe. Japan represents one of the largest markets for PCI globally, with over 1,200 hospitals performing nearly 250,000 PCI procedures annually,” president & CEO Mark Toland said in prepared remarks. “We are thrilled to have partnered with Dr. Ueno, Kurume University Hospital, and Japan Medicalnext to launch the first vascular robotic program in Japan, offering these patients the benefits of robotic-assisted PCI,” Toland said. Smith & Nephew (NYSE:SNN) is slated to open a new robotics R&D and medical education center in Pittsburgh in 2020, according to a report from the Pittsburgh Post-Gazette. The facilities are located in the city’s Strip district, according to the report, and will triple the floor space for London-based Smith & Nephew’s robotics business, which currently employs approximately 100 individuals in the area, according to the report. “Pittsburgh is the R&D headquarters of our rapidly expanding robotics business and we are very excited to be the first tenants at The Stacks at 3 Crossings. This state-of-the art facility will be a key innovation center for Smith & Nephew that will provide an engaging environment for both current and prospective new employees to create next generation surgical robotic platforms,” Smith & Nephew R&D robotics and surgical enablers VP Brian McKinnon told the Post-Gazette. The new facility will focus on robotics and allow an expansion of Smith & Nephew’s Navio surgical system and the development of next-generation products, according to the report. It will also include a medical training center focused on the company’s robotic platforms. Earlier this month, Smith & Nephew said that it inked a deal to acquire patient monitoring system developer Leaf Healthcare for an undisclosed amount. ReWalk Robotics (NSDQ:RWLK) has raised approximately $4.3 million in a new round of financing, according to recently posted SEC filings. In the offering, ReWalk Robotics sold warrants to purchase ordinary shares at a purchase price of approximately $5.20, according to the filing. Warrants offered in the round have an exercise price of $5.14 and are exercisable for 5.5 years from the date of issuance. Warrants were issued on April 5, ReWalk Robotics said. Money in the round came from three unnamed investors, with the first date of sale noted as having occurred on April 3. The company is looking to raise an additional approximate $2.1 million, which would bring the total raised in the round to approximately $6.3 million, according to the filing. Proceeds from the offering will be used to support sales, marketing and reimbursement expenses related to market development activities and broadening third-party payor coverage, as well as R&D costs related to the ReStore device and other products, according to the filing. In February, ReWalk Robotics said that it applied to FDA for 510(k) clearance of its ReStore exoskeleton suit seeking indications for gait training during stroke rehabilitation. HistoSonics said today that it closed a $54 million Series C round led by Varian Medical (NYSE:VAR) that included a contribution from Johnson & Johnson (NYSE:JNJ). The Ann Arbor, Mich.-based company, which is developing an image-guided, robotically assisted platform using non-invasive and non-thermal technologies, said Lumira Ventures, Venture Investors, the State of Wisconsin Investment Board and existing backers also participated – including robot-assisted surgery pioneer Dr. Fred Moll. HistoSonics said it plans to use the proceeds to complete “key regulatory and commercial milestones” and expand its development efforts. The post Varian leads $54m Series C for HistoSonics appeared first on MassDevice. Robot-assisted surgery continues to generate headlines in the orthopedics space. But there is so much more going on among the world’s largest orthopedic device companies. Go to our sister site Medical Design & Outsourcing and discover what’s new among the 10 largest companies in the medical device industry’s ortho sector. Note: Medical Design & Outsourcing drew on research for its annual Big 100 list of largest medical device companies to create the 10 largest orthopedic device companies list. The post The 10 largest orthopedic device companies in the world appeared first on MassDevice. 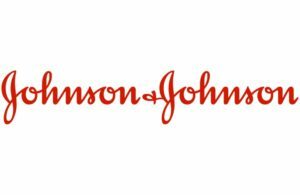 Johnson & Johnson (NYSE:JNJ) isn’t known for tooting its horn prematurely. The public won’t hear much about a new J&J device until the company’s good and ready. So it should come as no surprise that J&J’s DePuy Synthes business has kept relatively mum about the robotically assisted knee surgery device it’s been developing. J&J entered the competitive surgical orthopedic robot world when DePuy Synthes bought Paris-based Orthotaxy and its orthopedic-surgery robot prototype in 2018. DePuy Synthes gave attendees at the recent American Academy of Orthopedic Surgeons conference a peek at the latest prototype of the Orthotaxy device. It’s is the size of a shoebox, attaches to an operating table and includes a saw, but does not do the sawing for the surgeon. Instead, the Orthotaxy platform will design the surgery plan and lock the saw into a plane, allowing the surgeon to do the cutting, according to Liam Rowley, VP of R&D for knees at DePuy. The post Johnson & Johnson closes Auris Health buyout, sterilization biz sale appeared first on MassDevice. Titan Medical (NSDQ:TMDI) said today that it inked a collaborative development deal with Teleflex (NYSE:TFX) to integrate its polymer ligation technology into Titan’s Sport single-port robotic surgical platform. Toronto-based Titan Medical said that Wayne, Penn.-based Teleflex’s polymer ligation system is intended for vessel sealing and includes an enhanced clip security feature that has been previously used in millions of cases. “Our patented, multi-articulating instruments have been developed to facilitate the integration of advanced tools and technologies. This collaboration with Teleflex permits the expansion of our robotic instrument portfolio to offer market-leading, proven technology in a variety of surgical disciplines. Teleflex is a leading and innovative medical technology company with whom we share a common purpose of improving patient outcomes with clinically-inspired technology. We are proud to be working with them,” Titan Medical prez & CEO David McNally said in a press release. “We continue to partner with leading robotic companies to allow surgeons globally to use our trusted Weck ligation solutions. We are excited about Titan Medical integrating our technology into its single-port robotic surgery system,” Teleflex surgical division GM James Ferguson said in a prepared statement. Late last week, Titan Medical said that it closed a $25 million public offering. The post Titan Medical, Teleflx ink collab robotic ligation dev deal appeared first on MassDevice. Zimmer Biomet (NYSE:ZBH) said today that it won FDA 510(k) clearance for its robotic Rosa One Spine System intended for use in robotically assisted minimally invasive complex spine procedures. The Warsaw, Ind.-based company touted that the Rosa One Spine combines robotics and navigation alongside real-time patient dynamic tracking capabilities. The system also features 3D intraoperative planning software and a suite of navigation technologies intended to improve implants, instrument placement accuracy and predictability, Zimmer Biomet said. “Rosa One Spine functions as a dual robotics and navigation technology solution for minimally invasive and complex thoracolumbar spine procedures. We are extremely excited about the addition of Rosa One Spine to our already released Rosa One Brain and Rosa Knee systems,” spine, CMF and thoracic surgery assisting tech group prez Aure Bruneau said in a press release. Zimmer Biomet said that the Rosa One Spine system is available on the same platform as its Rosa One Brain and Rosa One Knee system, making Zimmer Biomet the only company with a robotic platform intended for neurosurgical, spinal and knee pathologies. Both the Rosa One Brain and Rosa One Knee system have already received FDA 510(k) clearance. Last month, Zimmer Biomet saw shares rise after the medical device maker beat expectations on Wall Street with its fourth quarter and full year 2018 earnings results. 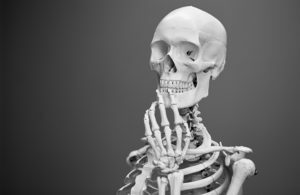 The post Zimmer Biomet wins FDA nod for robotic Rosa One Spine platform appeared first on MassDevice. 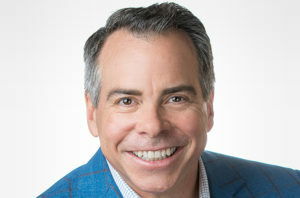 The post Ex-NuVasive CEO Lucier to head new M&A firm appeared first on MassDevice.